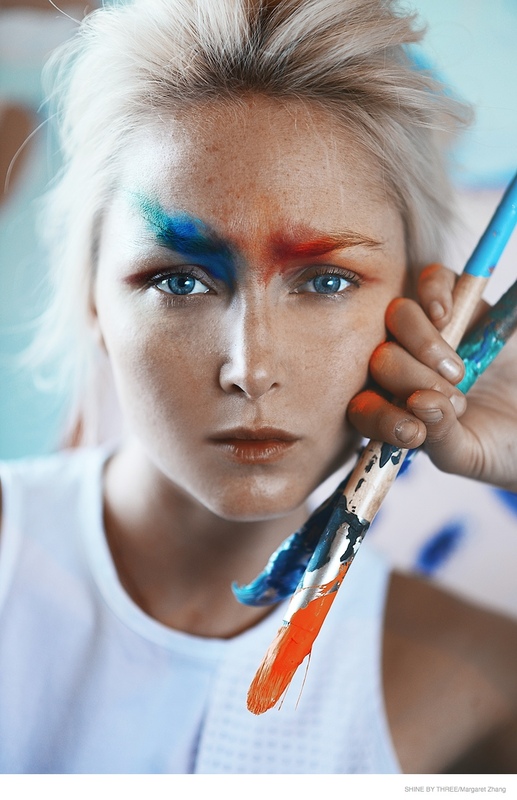 Some of my favourite fashion editorials ever are those that involve some kind of weird face paint / body paint / war paint. Either that or they have crazy make up and feathers in their hair. To me, photo shoots should be like a dream – people never could actually pull off these outfits, or even think of wearing them in real life, but they sure are fun and inspiring to look at. Margaret Zhang styled and shot these cool little artsy combos. If only it was acceptable to paint your face and get away with it as make up every day. Previous Post manspiration :: issey miyake. I just posted an interview with LA designer and celebrity stylist Scorpioluvv, Im spreading the word to all fashionistas, its a must read!